Don’t you dare judge me for this. I promise this will work out. This is kind of one of those breakthrough ideas, that ultimately….was not mine. (Which is quite sad due to the fact that it is sooo delicious). Let me tell you a story. One day, my family and I were dining at this lovely little establishment called Ard’s Farm Market. (For those of you who know me, this is a 4x a week experience for me). Justin, the chef outside, decided to make this crazy sounding special called “Grilled Tuna Steak with Watermelon Salsa.” Weird. Right? Well, he practically forced the special upon me and I had to try it. First of all, I’d be crazy not to marry him, and second of all OMG! Amazing. 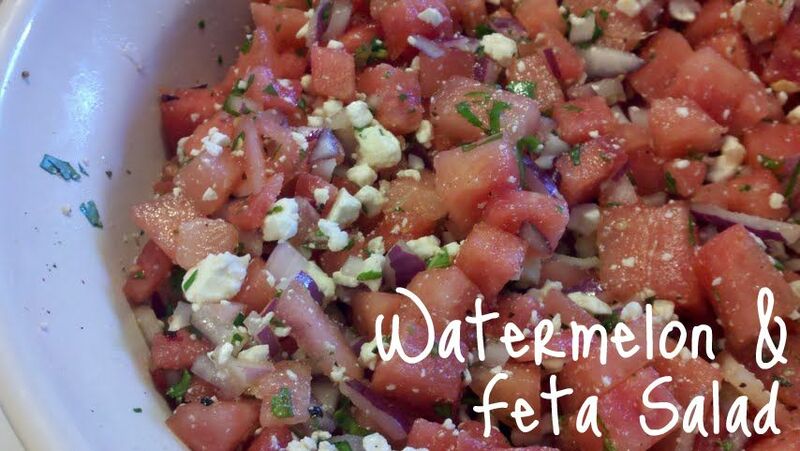 But what really caught my eye was the watermelon salsa. What an idea! So, of course, I needed to replicate….no not replicate…make it better….no…..experiment creatively! So I did. After finding a few places that housed some of these types of recipes, I stumbled upon a good one. 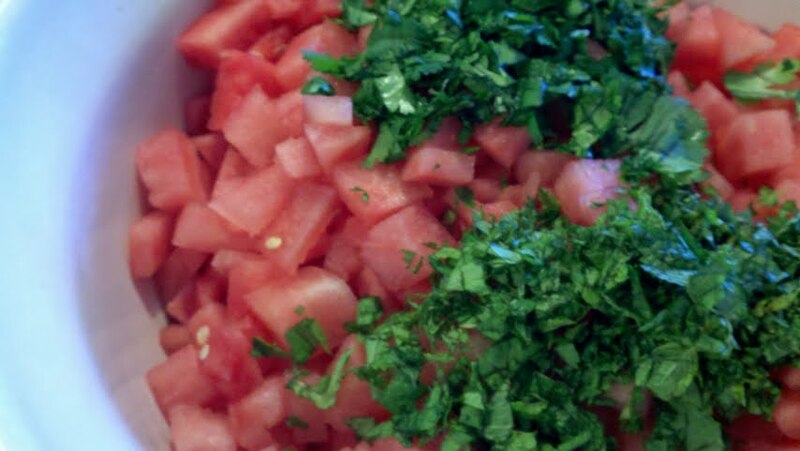 You cut up some watermelon, so it looks like diced tomatoes (hehehe…definitely confuses people). Then cut up a bunch of cilantro and a bunch of mint. 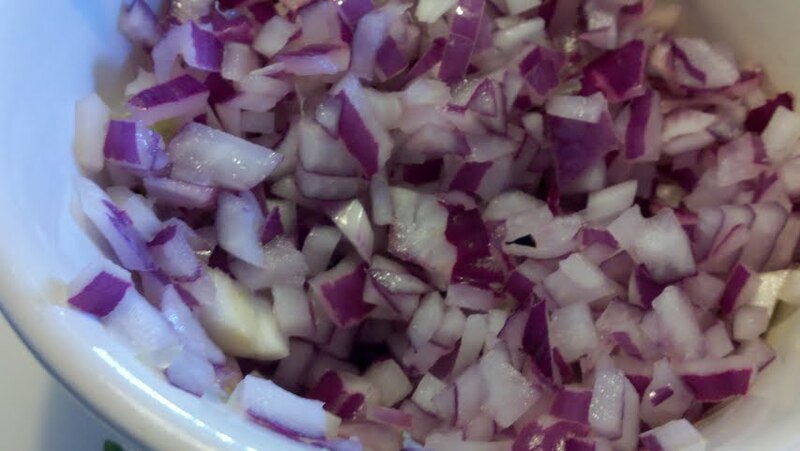 Soak one small diced onion in the juice of three limes. 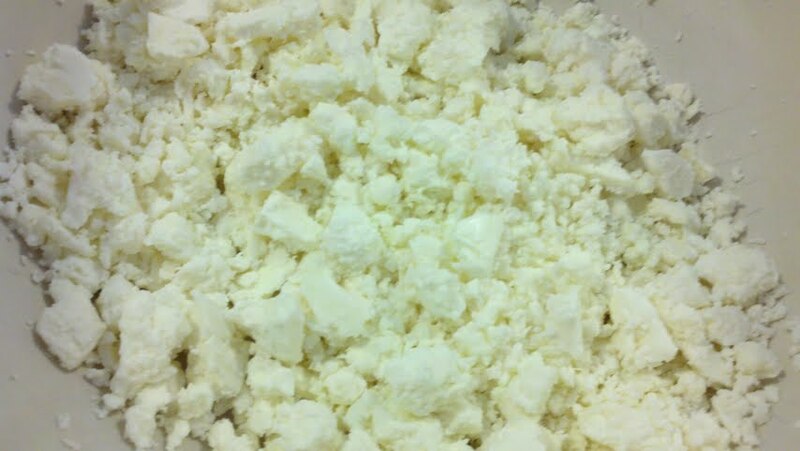 Add about a cup (or more) of crumbled feta cheese. 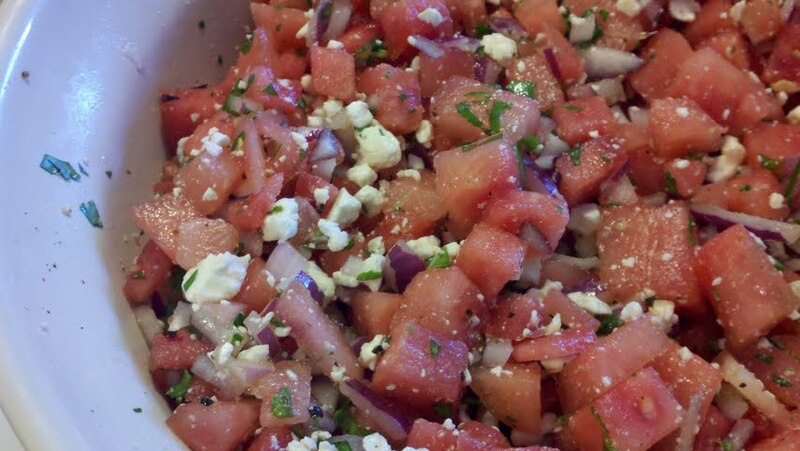 Mix it all together and add about two tablespoons of EVOO (Extra Virgin Olive Oil Rachel Ray style). The best part about this salad is that there is literally NO recipe. That’s so exciting right!? Enjoy those last few days of summer warmth and sunshine. Fall is coming quicker than I thought. But that’s ok, I’ve already bought 4 bags of different candy corn flavors to experiment.